In the fall 2009 issue of The Journal of Air Traffic Control, Frank Frisbie suggests that the time has come to consider separating the FAA’s two principal functions-a. In this article we would like to flesh out the case for this idea. One reason to question the status quo is that combining ATC service provision with aviation safety regulation presents an inherent conflict of interest. Aviation safety would be better served if safety oversight of the Air Traffic Organization were at arm’s length-just as it is for airlines, general aviation operators, airframe and powerplant manufacturers, pilots, mechanics, etc. Another reason for change concerns the need for management focus, especially when it comes to implementing NextGen. Since “safety is job one” in aviation, most FAA Administrators come to the job with little technical background in air traffic control-and they end up spending most of their time dealing with accidents and safety regulatory actions. That leaves ATC-which accounts for over 60% of the FAA’s budget-without the kind of knowledgeable leadership that will be needed to implement the huge paradigm shift represented by NextGen in a timely and cost-effective manner. In this article, we first present some recent examples of problems with the status quo, problems that separation would address. Next, we examine current practice in other countries. Then we discuss recent U.S. proposals for arm’s-length air safety regulation, and explain why the creation of the ATC safety oversight office within FAA’s safety regulation division (AVS) falls short. We then look specifically at the forthcoming implementation of NextGen and how that process would be different under arm’s-length safety regulation. Finally we explore how organizational separation might be carried out. In its safety regulatory activities, the FAA appears to use a different standard for its ATC staff than for outside parties that it regulates at arm’s length. The 2009 Colgan Air commuter plane crash near Buffalo, NY has led to a large-scale FAA effort to reconsider pilot fatigue and duty-time rules. But the 2007 Comair regional jet crash at Lexington, KY, in which the NTSB found controller fatigue to be a factor, led to no such effort to reconsider controller scheduling and duty-time regulations. Likewise, in the 2009 Northwest overflight of its MSP destination airport, the FAA immediately suspended the licenses of both pilots but took no comparable action with respect to the controllers and supervisors, who took more than an hour to notify NORAD (instead of the required 10 minutes). In both cases, there was considerable disparity in how pilots (regulated at arm’s length) and controllers (regulated internally) were dealt with. Another development in 2009 illustrates confusion within the FAA over its dual role as safety regulator and ATC service provider. Earlier in the decade, the agency had come to think of (and refer to) aviation stakeholders as its customers. This began within the ATO (where it is quite appropriate), but it was later extended to the FAA’s regulatory context. As then-Brookings Institution analyst Dorothy Robyn wrote, “Airlines and aerospace firms are the regulatees, not the customers, of FAA regulators.” (emphasis in original). Responding to such criticisms, in September 2009, Administrator Randy Babbitt announced that the agency would no longer use the term “customers.” He said, “When we say customer, we mean the flying public.” That’s entirely correct for FAA’s safety regulatory function, but is an unfortunate return to pre-ATO days for the ATO and its aircraft-operator customers. Another reason to separate air safety regulation from ATC service provision is to reduce the politicization of what should be straightforward policy decisions. 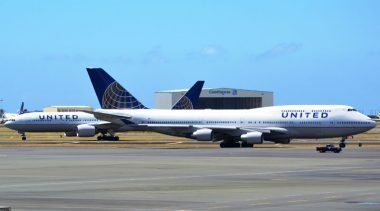 Nearly every time the ATO seeks to consolidate even minor facilities (such as towers and TRACONs), the controllers’ union objects to the measure and petitions Congress to step in to prevent it. The union’sr argument always alleges that air safety is at stake; Congress sometimes intervenes and sometimes does not. But the FAA, because the ATO is embedded within it, is not in a clear-cut position to act as the neutral safety arbitrator in such cases. Since NextGen’s productivity gains will depend in no small part on facility consolidation, it is important to de-politicize such decisions as much as possible. Where safety issues are involved, the FAA as safety regulator ought to be in a position to be, and to be seen as, a neutral assessor of safety, rather than an interested party. Perhaps most important of all is the question of management focus. Putting safety regulation and ATC together leads to suboptimal management of both. In particular, despite the greatly improved track record of aviation safety in recent decades, pressures from the media and from Congress routinely put safety at the top of the FAA Administrator’s list, taking up a large percentage of his or her management time and focus. Since there are only so many hours in a day, that inevitably means that air traffic control gets the short end of the stick-despite current significant ATC modernization problems, well-documented in reports by the DOT Inspector General and the Government Accountability Office. 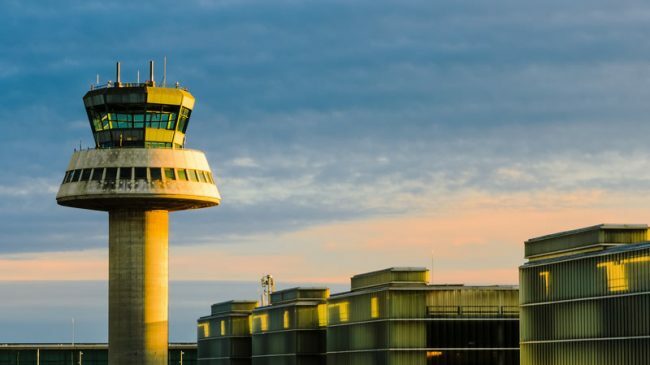 When customers of the Air Traffic Organization hesitate to commit to NextGen equipage because they lack confidence that the ATO will hold up its end of the deal, they have good reason to do so, based on past history of ATC modernization. With the challenge of implementing the most fundamental change in air traffic management since the introduction of radar, the ATC system needs to be led by a capable manager with budgetary authority and increased power to hire and fire. That can only happen if the ATO becomes a separate modal administration within DOT, entirely separate from the safety-regulatory FAA. In November 2001, the International Civil Aviation Organization (ICAO) recommended that all signatory states (which includes just about every nation with airline service) separate air traffic control operations from aviation safety oversight and regulation within two years, as recommended in its Safety Oversight Manual (Doc. 9734). This document states that “In those States where the State is both the regulatory authority and an air traffic services provider . . . the requirements of the [Chicago] Convention will be met, and the public interest best served, by a clear separation of authority and responsibility between the State operating agency and the State regulatory authority.” (Part A, paragraph 2.4.9) Nearly all the countries in the European Union, as well as Canada, Australia, New Zealand and a number of others have complied with this measure by separating their ATC provider from the aviation agency. As of 2008, ICAO reported that out of 84 reporting states, 64 states had separated their ATC provider from the regulator, with more planning to separate these functions. Some of these countries (such as Canada and Australia) had already done this, as part of a general trend of commercialization of ATC provision, but the others did so in response to the ICAO measure. In this country, the response to ICAO was different. 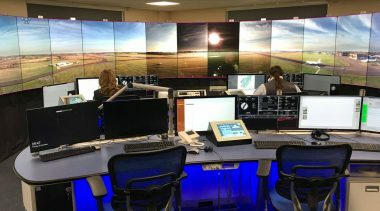 The FAA set up a new office within its aviation safety division (AVS), called the Office of Air Traffic Safety Oversight (AOV). 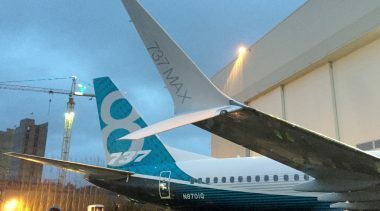 However, unlike its counterparts that regulate outside parties-Flight Standards (AFS) and Aircraft Certification Service (AFS)-the new AOV issues no safety standards or Federal Air Regulations. It works entirely internally, and its decisions do not come under the Administrative Procedure Act; hence, there is no public comment and no form of external review. To be sure, not all FAA safety actions entail this degree of regulatory process, but for major decisions with large-scale safety implications, they generally do-and some key decisions involving NextGen will be of this kind. 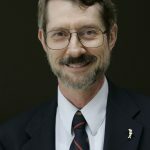 One of the most knowledgeable authorities on aviation safety is Prof. Clinton Oster of the School of Public and Environmental Affairs at Indiana University. In 1987-88 he served as research director for the Aviation Safety Commission. He and John S. Strong of the College of William & Mary co-authored Why Airplanes Crash: Aviation Safety in a Changing World (Oxford University Press, 1992). More recently, they have studied the experience of other developed nations in reforming the governance of air traffic control. In their recent book, Managing the Skies: Public Policy, Organization, and Financing of Air Traffic Management (Ashgate, 2007), they devote considerable attention to the question of the potential conflict between safety regulation and ATC service provision. Separating the ATC operation from the FAA was explicitly proposed by the U.S. Department of Transportation during the Clinton administration. Vice President Gore’s National Performance Review (NPR) scanned the world for innovative government-reform ideas. In aviation, they identified the pioneering reform that created Airways Corporation of New Zealand, which moved that ATC provider out of the government’s aviation agency and converted it to a government corporation, regulated at arm’s length by the aviation safety agency. The NPR proposal, in its “reinventing government” report, that something similar be done in this country led to the secretary of transportation creating an Executive Oversight Committee (EOC) to develop a specific proposal. 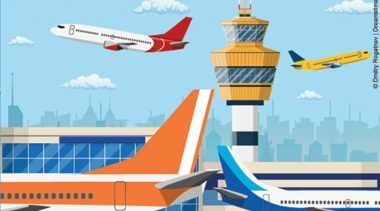 The May 1994 Air Traffic Control Corporation Study proposed that the FAA’s ATC functions be converted into “a wholly-owned U.S. government corporation,” within DOT, to operate, maintain and modernize the ATC system. It would have a board of directors, “with strong user representation, [to]ensure that the corporation produces services efficiently and maintains control over its costs.” The study named the proposed entity the U.S. Air Traffic Services Corporation, and referred to it as USATS. More recently, in 2008 the Brookings Institution undertook its Hamilton Project to develop fresh policy ideas for the new administration that would take office in 2009. One of its proposals was authored by former White House economist Dorothy Robyn. In “Air Support: Creating a Safer and More Reliable Air Traffic Control System,” Robyn proposed organizational and physical separation of the ATO from the FAA, with the ATO becoming a new modal entity within DOT, regulated for air safety by the FAA. The proposal drew upon Oster and Strong’s findings about removing the conflict between safety regulation and service provision. Robyn noted that Congress resolved a similar conflict that had existed with the former Atomic Energy Commission, which both developed nuclear energy in concert with electric utilities and regulated their operations for safety. In 1974, Congress replaced the AEC, creating the Nuclear Regulatory Commission to carry out safety regulation and shifting nuclear energy research and assistance to the new Department of Energy. The trade-offs between safety and capacity are inherent in air traffic control, and they are often subtle. To be sure, many forms of capacity enhancements do not reduce safety, and others may even increase safety. Those decisions are relatively straightforward. 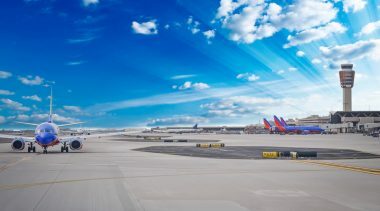 However, other capacity-related decisions such as aircraft separation standards and conditions under which various runway configurations are used can pose a trade-off between safety and capacity that FAA must make. These trade-offs are difficult because while it may be easy to determine the capacity enhancement implications, [it may be difficult or] even impossible to determine how much the proposal might degrade safety, or if, indeed, it would degrade safety at all. The same trade-offs between safety and capacity would remain and be just as technically difficult, but the regulatory tensions that are now internal to one organization would become external and between two different organizations. Decisions that are now made internally within FAA would become external in a manner similar to safety regulatory decisions in other aviation sectors. The debate about trade-offs between safety and capacity would be more public and open to outside scrutiny. The air traffic control operating organization would have to consider carefully any changes to the minimum safety standards they propose and clearly state the justification for that proposal. The regulatory organization would have to consider, specify, and defend the criteria it used for selecting one standard over another, and for accepting or rejecting any proposed changes. In addition to the substantive argument for more transparent and arm’s-length decisions about the safety vs. capacity trade-offs in NextGen, there is also the question of public perception. 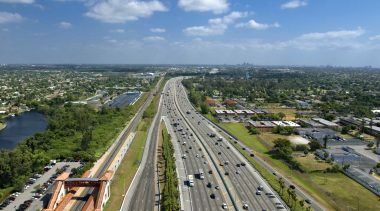 Based on our experience in writing and speaking about NextGen in recent years, we believe that most members of Congress and most transportation reporters have no idea, yet, what a fundamental paradigm shift NextGen represents. 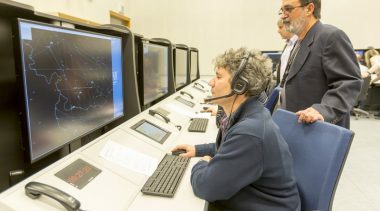 Shifting from air trafficcontrol to air traffic management, with significant automation built into the routine separation of aircraft and significantly reduced spacing between planes, is a shift at least as significant as the introduction of radar-based surveillance in the 1950s. If NextGen is implemented without sufficient transparency and public confidence in the government’s safety oversight, there could be major adverse reactions the first time an accident takes place under the emerging NextGen regime. T Independent safety oversight of NextGen is critically important, not only to ensure increased safety but ensure the perception of a strengthened safety oversight mechanism. What, exactly, would the change proposed here consist of? 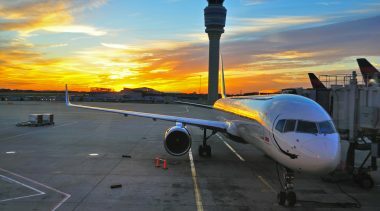 The stand-up of the ATO in early 2004 was a de-facto first step, by bringing together into a single organization the various units within FAA responsible for ATC planning, facilities and equipment, and operations. Hence, organizationally separating the ATO into a separate modal agency within DOT would not involve as much change as might be imagined. All non-ATO functions of the FAA, including the Airport Improvement Program and the commercial space office (in addition to safety regulation), would remain with FAA. Robyn points out that the ATO currently depends on several centralized FAA support functions (e.g., legal services) that would have to be separated for the ATO to have its own in-house administrative and support staff. And likewise, the FAA depends on the ATO acquisition office for procurement of non-ATC equipment, so that function, too, would have to be divided. Robyn also suggests-and we agree-that the new ATO be physically (geographically) separated from the FAA headquarters. This is important symbolically, as well as being a likely benefit in further developing a distinct customer-friendly corporate culture for the new entity. One possible location would be at the site of the ATO’s command center in Herndon, VA. Both Robyn and the EOC have proposed that a separate ATC organization within the DOT have a strong stakeholder board. Other government corporations, including the Tennessee Valley Authority and the U.S. Postal Service, have governing boards that carry out many of the same functions as a corporate board of directors. Previous proposals for an ATC board, from the FAA and from Congress, defined them solely as advisory boards, but it would be more in keeping with the new entity’s being a customer-serving enterprise if its board had actual power to make decisions on such things as the nature and timing of major capital expenditures and equipage deadlines for NextGen. It is important that all ATC stakeholders be represented on this board, so that these decisions are made in ways that come as close as possible to consensus. Another important difference from previous congressional and FAA board proposals is that this new stakeholder board would not include the FAA Administrator. (The FAA’s FY2007 reauthorization proposal called for a new Air Traffic Services Board, to be chaired by the Administrator.) Since a primary reason for separating the ATO and the FAA is to provide for arm’s-length safety regulation, it would be inconsistent to include the chief regulator on the board of the service provider organization. Separating the ATO from the FAA would require legislation. It could be a provision in an FAA reauthorization measure or could be introduced as stand-alone legislation. 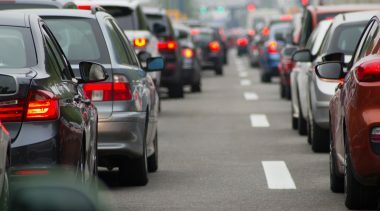 Either way, such a change would require the DOT’s strong support and would probably also depend on finding one or more legislative champions. And it would also likely require most or all of the aviation community to rally ’round the idea. Since building such support takes time, it is not a likely subject for injecting into the already much-delayed FAA reauthorization process still dragging on as of early 2011. Great care will be needed in crafting the specifics of this organizational change. The shift from internal to arm’s-length regulation, if it made all ATC safety decisions subject to the Administrative Procedure Act, for example, could create obstacles to getting key elements of NextGen certified-an outcome none of us wants. And, as noted previously, configuring a stakeholder board that adequately represents all ATC stakeholders and prevents any one segment of aviation from dominating decision-making will need great care and political skill. And no one should underestimate the challenge of shifting about 60% of the FAA’s staff and budget to a new, separate agency. Both of us have written elsewhere in favor of commercialization of the ATO, along the lines of Nav Canada. Our proposal in this paper is more modest and should be judged on its own merits. Separating air safety regulation from ATC service provision would not change the ATO’s funding or its budgetary treatment, per se. It would not raise divisive issues such as “user fees” that have doomed previous ATC reform proposals. It would not in any way “privatize” the ATO, which would remain wholly within the U.S. DOT. Rather, this separation would be in the spirit of the original intent of Congress in creating the ATO in hopes of it becoming a “performance-based organization,” better serving its aircraft-operator customers. Specifically, we think that with its own budget and a strong administrator of its own, a separate ATO would be in a much stronger position to advocate for timely implementation of NextGen and to carry out implementation in a timely and cost-effective manner. That would especially be the case if the reform included our recommendation of a stakeholder board to make decisions on the timing and coordination of NextGen investments between the ATO itself and the aviation customer community. Arm’s-length safety regulation, and the resultant transparency of difficult safety/capacity trade-offs, has always been important, as ICAO and nearly all other developed countries have recognized by their actions. But this kind of improved safety regulation is especially important to the success of NextGen, both in fact and in appearance. Indeed, we will go so far as to assert that public confidence in the new paradigm that NextGen represents will depend critically on transparent, arm’s-length safety regulation. The time to start building aviation consensus for this change is now. Langhorne Bond, an aviation consultant, was FAA Administrator, 1977-1981. He is a member of the board of the Air Traffic Control Association (ATCA). Robert Poole is director of transportation policy at Reason Foundation. This is a slightly revised version of an article of the same title that appeared in the Spring 2010 issue of The Journal of Air Traffic Control, published by the Air Traffic Control Association.